If you need something to cheer you up today as 2019 draws to a close, we've got just the thing. It's easy to get wrapped up in all of the world's negative news, but we thought we'd remind you of the little things that have put a smile on our face throughout 2019. Whether it was a funny grandma with a loud mouth, a score-predicting pig or some of the best dancers in Sunderland, we've got something for you. 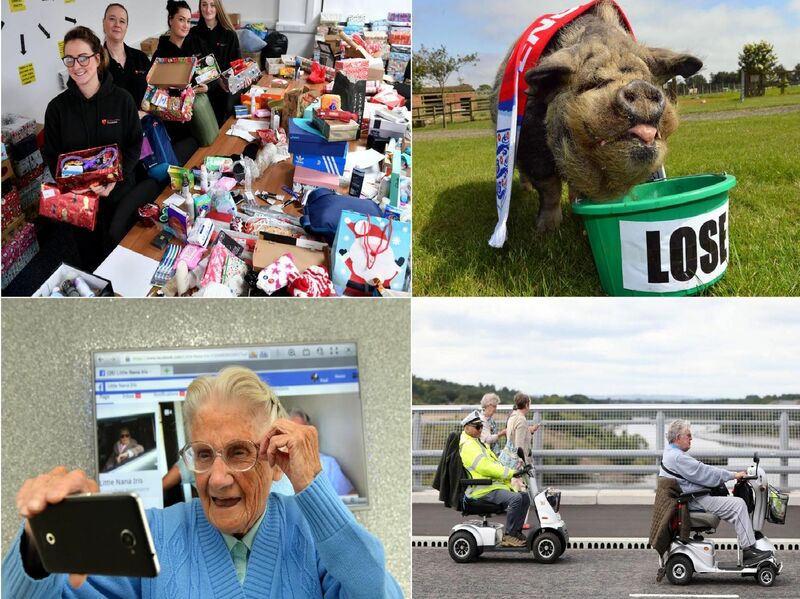 Take a look at some of the stories which put a smile on our face this year. Here's to the next 12 months. We love a Stadium of Light concert, and with the Spice Girls set to play in June 2019, this promises to be a big one! A bumper crowd of Sunderland fans packed the Stadium of Light for the club's Boxing Day match against Bradford City. All 46,039 of them. She's taken social media by storm - and she made us laugh when we were lucky enough to meet her this year. Crowned Sunderland's own Mrs Doubtfire by the readers. Your kindness led to thousands of toys being donated to children who may have gone without this Christmas. And it made our year.